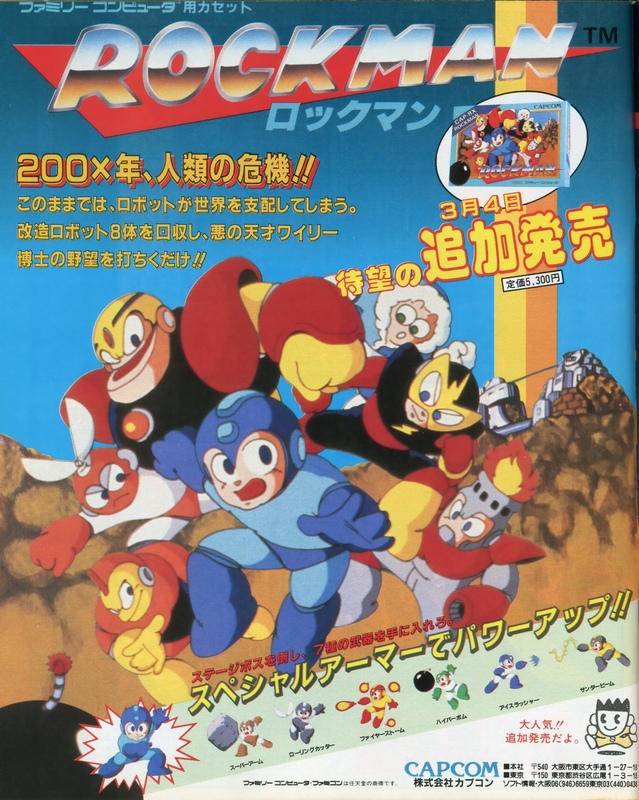 I think it’s become pretty common knowledge that the first Rockman game was a slow-starting moderate sales success, whereas Rockman 2 is the game that really put the series on the map. 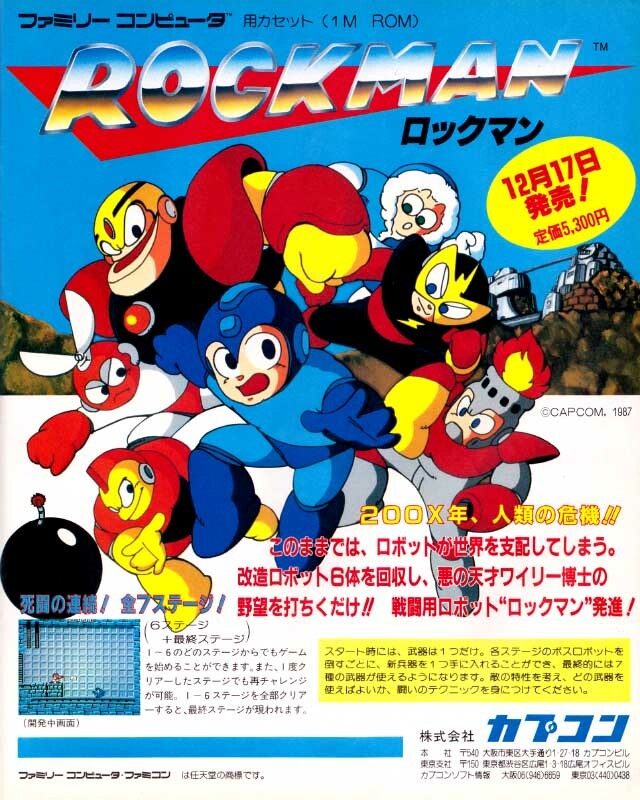 Rockman was first slated for Japanese release in November of 1987, but as fate would have it the game was delayed until December’s pre-Christmas corridor, and after a while eventually warranted a second, wider re-release in early March of 1988. 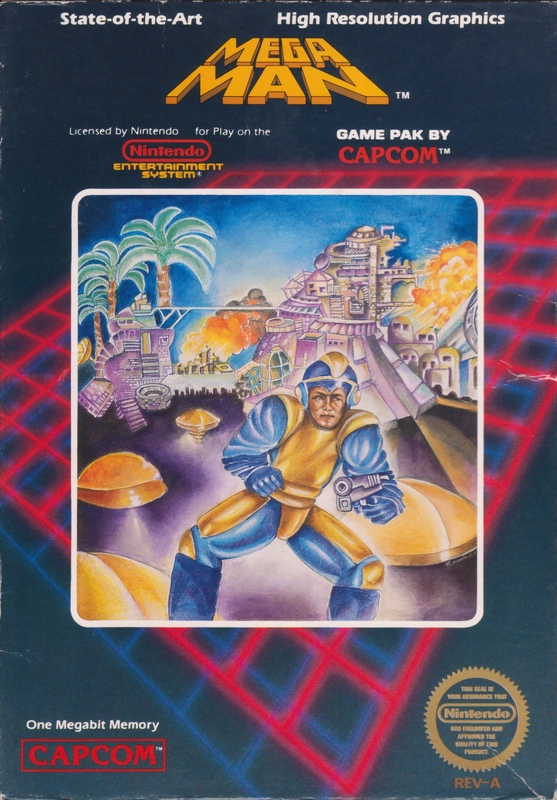 (And of course, perhaps due to the American box art, units weren’t moving that much faster when released in America either.) 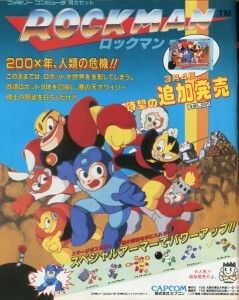 You might well say it was a “rocky” road for first Rockman. Ha ha ha, ha. Ha. Ha ha. Hoy. The long-awaited supplemental release, coming March 4th! In the year 200X, humanity is in crisis!! Without your help, the robots stand to take over the world. 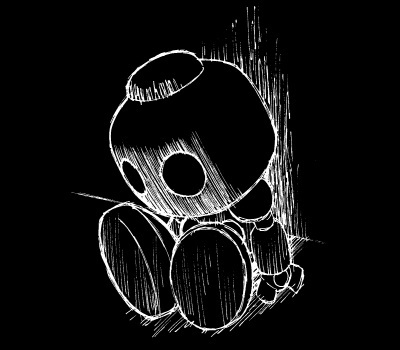 Recover the 8 remodeled robots and smash the sinister ambitions of that evil genius, Dr. 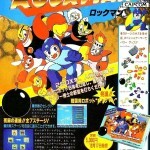 Wily!! Defeat the stage bosses to obtain the 7 weapons. POWER UP WITH SPECIAL ARMOR!! First, you may notice that this ad claims there are 8 robots to recover. 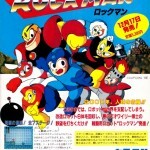 It is true that the initial plan of the design team was to have 8 enemy boss robots, including Bond Man and a yet-undecided boss of the planned water-themed level… but this ad was placed months after the game was already completed. Furthermore, earlier ads and fliers that were distributed prior to this one–like this ad from the Chris Covell homepage (left), and another one from Jap-Sai (right) had already gotten the number of robots correct. Therefore, this seems to be a genuine mistake. Once again, “Ice Slasher” is written incorrectly (that happens a lot, and is miswritten in the second ad above as well). Since it was never written in the first instruction manual anyway, it might be more correct to say this was the predominant original spelling of Ice Man’s weapon. Finally, we’re more used to hearing them called “Special Weapons” nowadays, but early on Rockman’s rainbow-inspired color-change powers were dubbed “Special Armors” instead. Aside from all that, the other thing that really stands out to me is that vertical orange & yellow stripe shooting up from Wily’s base. Reminds me of VHS tape packages. Now that’s some 80s flavor right there. 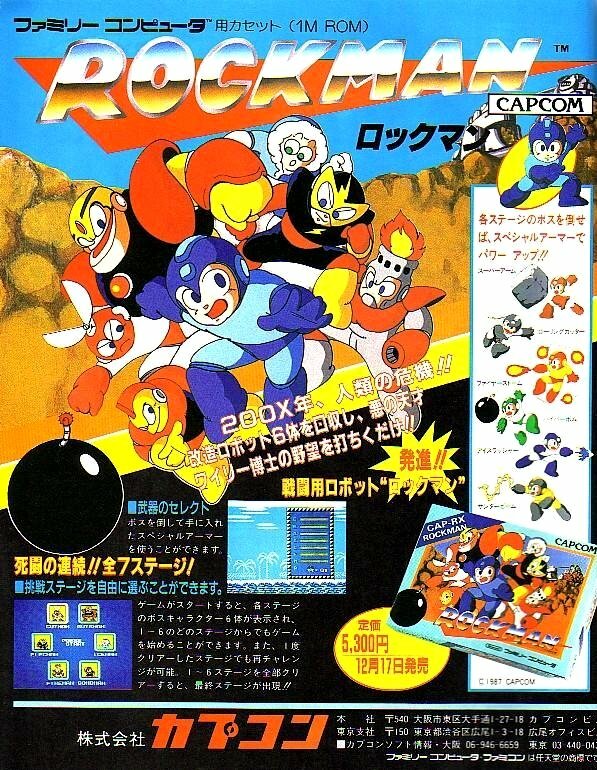 2 Comments to "This Rockman Ad is Odd"
Btw, word is that Mega Man was released here at about the same time as Rockman was released in Japan, which seems rather unusual. Any idea if that was really the case? I thought it was the same, but there are a few differences in the art.